Kale has become quite a popular vegetable in recent years. Kale is related to heartier cruciferous vegetables such as cabbage, broccoli, and Brussels sprouts, but don’t let this turn you away if you have never tried it before! 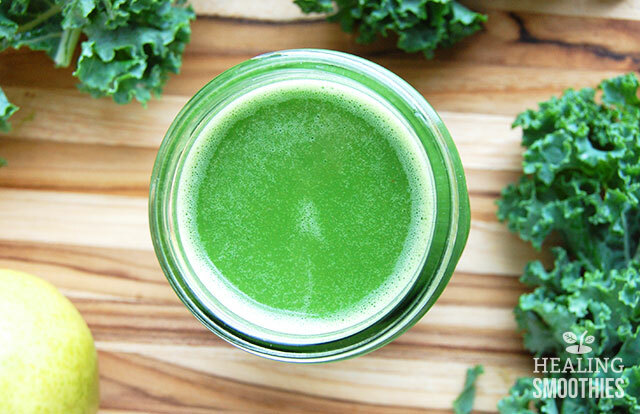 Kale is quite the superfood, containing an abundance of health benefits, and you cannot even taste it in this surprisingly delicious green smoothie. Kale comes in a few different varieties – with green or purple leaves, curly or smooth in texture. I have not tried making a smoothie with purple kale leaves but am curious what the color would turn out to be. 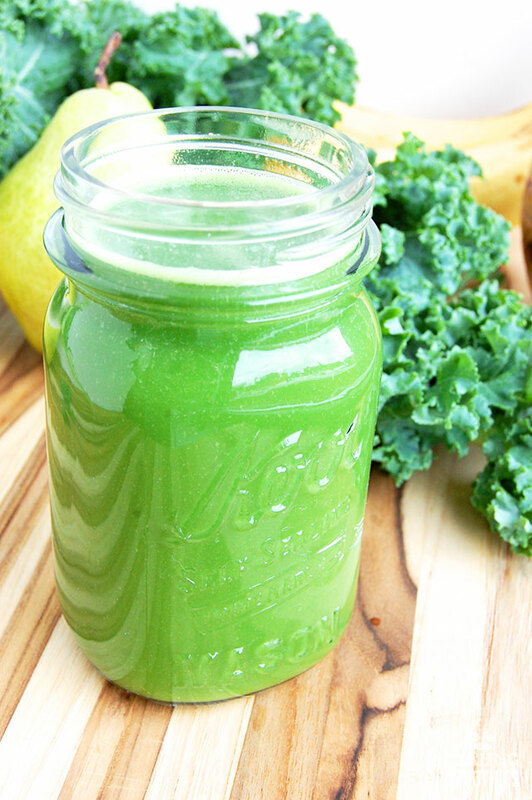 For this smoothie I used curly green kale leaves. The stem of the leaves is hard and fibrous and should not be included in the blender. Cut the leaves off the center stem before adding the kale to the blender. There is quite a list regarding the advantages of kale. One cup has more vitamin C than an orange, contains more vitamin A than any other leafy green, and provides over 600 percent of the daily requirement of vitamin K. Impressive to say the least. These vitamins boost your immune system, increase metabolism, maintain strong bones, and protect your vision. Furthermore, kale has anti-inflammatory capabilities. The omega-3 fatty acids in kale alleviate arthritis and fight against asthma and several autoimmune disorders. The omega-3s may also prevent heart disease and lower the risk of stroke. The body cannot make it’s own omega-3s and therefore sources such as kale are vital for providing the healthy fats. If you still need convincing of its value, kale is also full of antioxidants that help protect against various cancers. The antioxidants aid in cell repair and slow the growth of harmful cancer cells. 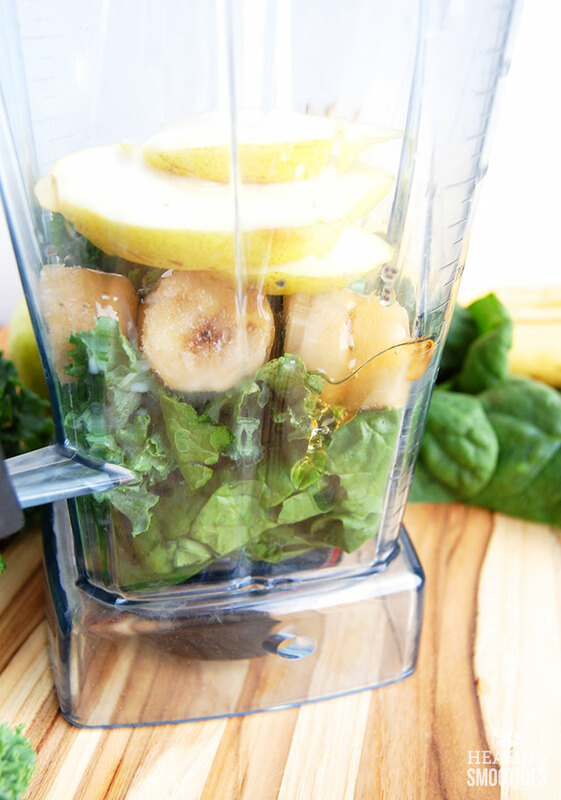 Spinach, a lighter and more delicate green than kale, also provides a lot of health benefits (along with a slightly sweeter taste) to this smoothie. Pear and honey are included for sweetness, along with frozen banana to make the drink creamy. 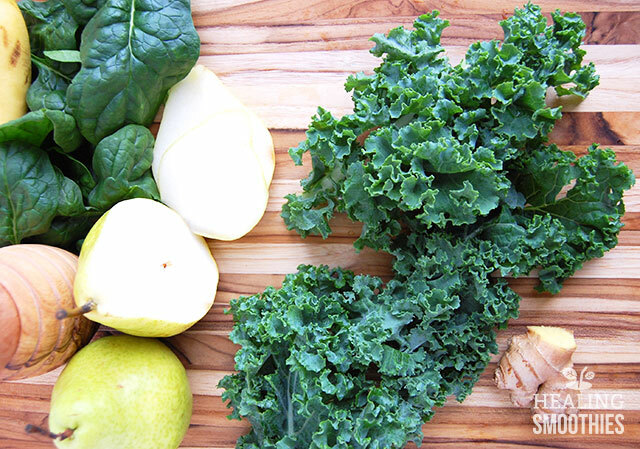 Fresh ginger adds a delicious bright note to the green smoothie. Amazingly, it doesn’t even taste like you are drinking a large amount of greens, and you still receive all of the nutritional perks. 1. 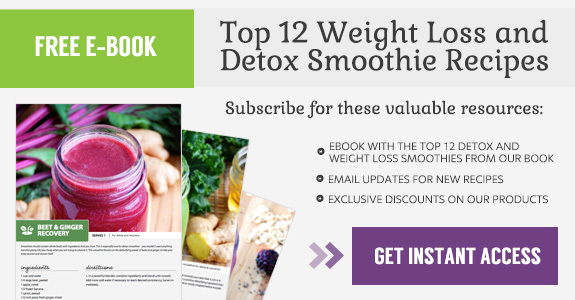 In a powerful blender, combine all of the ingredients and blend for several minutes to fully combine. Add more almond milk if necessary to reach desired consistency. Serve immediately.